You may think of your shoulder as a single unit, but this joint is actually made up of three bones—the clavicle (collarbone), the scapula (shoulder blade), and the humerus (upper arm bone)—and three joints. The acromioclavicular joint is between the tip of the shoulder blade (acromion) and the collarbone. The scapulothoracic joint is between the shoulder blade and the thorax (rib cage), and the glenohumeral joint, commonly called the shoulder joint, is between the glenoid cavity (shoulder socket) and the head of the humerus. 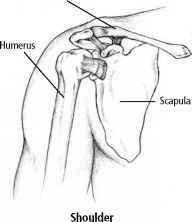 The shoulder is a ball-and-socket-type joint that permits a wide range of motion. In fact, the shoulder is the most movable—and, because of this, the most unstable—joint in the body. Shoulder dislocation occurs when the humerus (upper arm bone) comes out of the shoulder joint. The bone is usually displaced in front of and below the shoulder. Ligaments and other connective tissues are stretched or torn. In severe cases, nerves and blood vessels also may be damaged. The injury is caused by falling onto an outstretched hand or arm or onto the shoulder itself. It also may be caused by a powerful direct blow to the shoulder. Shoulder dislocation is sometimes accompanied by a fracture (see page 304). Symptoms of shoulder dislocation include severe pain in the shoulder accompanied by swelling and bruising. The shoulder also may look misshapen. Once you have had a shoulder dislocation, you are at risk for a recurrence of the injury. Raising your arm over your head or sleeping with your arm above your shoulder could cause another dislocation. Your doctor may recommend that you work with a physical therapist or an athletic trainer on exercises that will stabilize the ligaments and tendons, strengthen the shoulder muscles, and help prevent another dislocation. A shoulder dislocation is usually a more serious injury than a shoulder separation (see below). Shoulder separation occurs when the ligaments that attach the clavicle (collarbone) to the scapula (shoulder blade) are torn. The injury is caused by falling onto an outstretched hand or arm or onto the shoulder itself. It also may be caused by a direct blow to the shoulder. Symptoms include severe pain, swelling, and bruising. There may be limited movement in the shoulder. In some cases the collarbone is pushed out of its normal position and sticks up under the skin. Also, the shoulder may look misshapen. To reduce pain and swelling, place an ice pack on the injured area immediately after the injury occurs. If symptoms persist, see your doctor as soon as possible, or go to a hospital emergency department. To immobilize the shoulder and to speed healing, the doctor may place your arm in a sling or strap your arm to your chest. A nonsteroidal anti-inflammatory drug such as aspirin or ibuprofen will help reduce pain and inflammation. 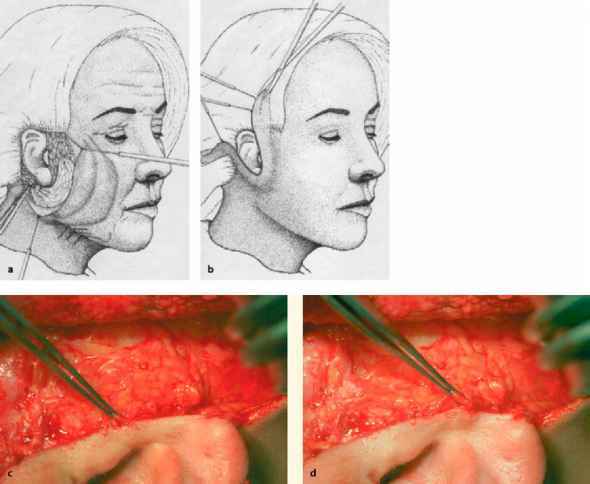 In severe cases, surgery to repair the damaged ligaments may be required. You should avoid athletic activities until after the injury has healed. Your doctor probably will recommend that you apply an ice pack to the injured area for 20 to 30 minutes three or four times per day for 2 to 4 days to reduce swelling and inflammation. Use a heating pad on the injured area once the swelling has gone down, to increase circulation and speed healing. (Warning: Apply heat only after swelling has subsided, or swelling in the injured area may increase. Be careful when using a heating pad; too much heat can cause tissue damage or burns.) Ask your doctor if he or she has a list of recommended exercises or if you should work with a physical therapist or an athletic trainer on exercises that will stabilize the ligaments and tendons and strengthen the shoulder muscles. Shoulder separation usually does not cause any lasting adverse effects.